Sunday is more than just Easter for me; it’s the anniversary of my own re-birth. A year ago Sunday is when I left the agency world. After nearly 10 years of working for agencies, I decided to strike out on my own. And now my world will never be the same. The concept of the search agency as we know it is dead. For years, I worked with clients and colleagues with good intentions – to apply a set of rules and processes to clients’ websites so that they could rank better on search engines. For years, that was enough. But the cookie cutter style of agency representation just doesn’t work anymore. Every client is unique and has unique needs. As many times as I said that exact thing on pitches (and meant it! ), the truth was that there are some basic tenets of agency life that make it impossible to treat each client truly uniquely. 1. You have to make a profit. 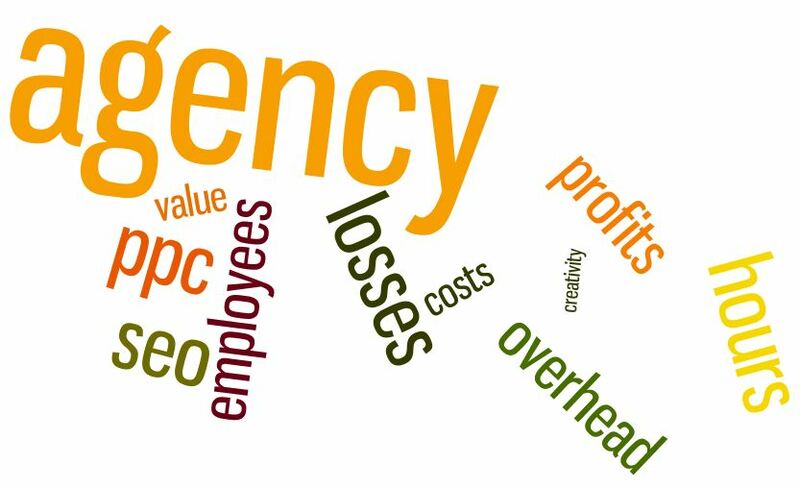 This is true for any business, but the exceptional difficulty in this area for an agency is that you’ve got overhead. You’ve got computers, storage space, payroll, and maybe even physical office costs. In the VP position I held, it was a very big part of my job to figure out how to do as much as possible with as little as possible. And that flies directly in the face of quality. A former colleague of mine used to love the adage “Good, Fast and Cheap, Pick 2.” Nowhere is that more true than in the search agency. 2. You have people to think about. If you want to run a successful business, you have to think about your employees. You have to invest a ton of time and resources into making them happy and productive, developing their skill sets, and helping them develop their careers. All of this is time that isn’t spent helping your clients directly – more time you can’t bill. 3. You have to provide a tool or a reporting platform. In the agency biz, you are already dead if you don’t have some shiny object that you can wave in front of customers that they can actually see. Not to say that all reporting and tools are simply shiny objects; some of them are quite fantastic. But that’s more time and resources (have you tried to hire a decent programmer lately?) that you have to invest into the business that doesn’t directly impact the customers and that you can’t bill them for. 4. You have to compete against the one-man consultancy. There’s a reason there are literally hundreds of individuals who have done this consultancy thing before me. It’s because there is a ton of work to go around, and if you can convince someone important who holds the purse strings that you know what you’re talking about, you can get a piece of it. And you can offer it more cheaply than the agency that has to pay for tools, people, and overhead, but still take home a bigger piece of the pie at the end of the day. 5. Process and innovation are not good bedfellows. If you work in an agency, you have to have a process for how you do things, how you train people, how you submit your expense reports. Because without process, you waste time doing things from scratch every time. It’s essential to a well-run agency. But unfortunately, it’s also the antithesis of innovation. Give people a process to follow, and they stop thinking. They go through the motions to complete their projects, checking items off a list. They often have excellent intentions and may truly believe they’re doing what’s in your client’s best interest. But the truth is that every client will be sent through basically the same process, whether they need it and it benefits them or not. With the changes that our young industry has seen in the last year alone, it should have become painfully apparent to every business owner out there that in order to succeed in search (and in business overall), you have to create a unique website, with valuable content, that gets links, tweets, likes and +1s from the community at large. Gone are the days of slapping some syndicated content on a site and calling it a business. Affiliate sites don’t stand a chance in the new models. And even retail sites are plagued with technical challenges, especially duplicate content. What you need now is a strategy, and an ongoing commitment to an almost altruistic level of value. To do that effectively takes creativity, innovation, and agility. And the old agency model just doesn’t work that way.